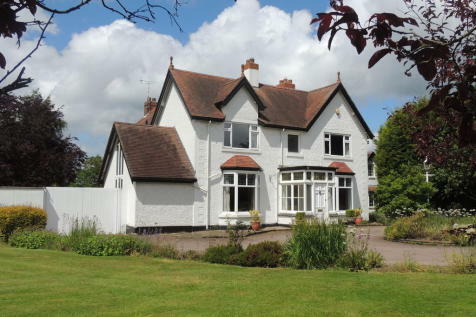 Mr. Shipley had lived in a stately Hockley Heath tudor style home for nearly 50 years, having raised three children and enjoyed a lengthy retirement in the house prior to his passing. Mr. Shipley had amassed a large collection of model ships, a homage from his time in the navy, as well as a large collection of memorabilia from his beloved Aston Villa F.C. The house also had several rooms that needed to have the carpets cleared out and a garage with several items that had to be disposed of in accordance with environmental regulations. The family wished to have as much of the furniture donated to charity as possible. This particular house had a fair number of challenges. All of the furniture was old, and therefore quite heavy. That morning also saw intermittent showers, complicating matters further. The third story bedroom had a very tight staircase with a steep ceiling, which meant several pieces of furniture had to be taken apart. There was also a small attic filled used as storage off the third story bedroom with a door built for a hobbit. There was only one exit the furniture could fit through, creating a logistical logjam. The model ships, more than 50 in total, each had tiny, fragile parts that required great care. We also pulled a very stately maple dining room set from the Hockley Heath home, along with a huge china hutch used to display the finer pieces the ship collection. The family was pleased with the prompt service; we were able to manage the Hockley Heath house clearance on just a few days notice. They were also pleased to find oak floorboards under carpets in two rooms, which upped the resale value of the home. They were also relieved to have avoided both the physical and emotional work of clearing out Mr. Shipley’s possessions.